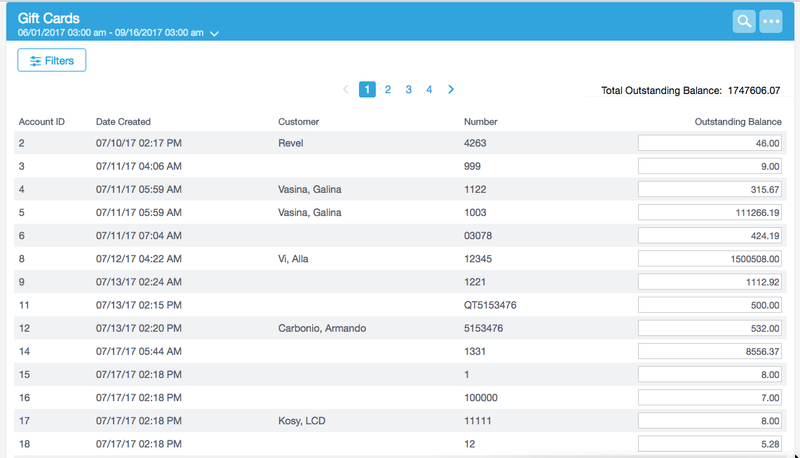 This report displays all gift cards, current points, and linked customers. You can also modify the gift card balances. 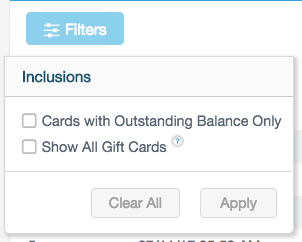 Total Outstanding Balance: Displays the total outstanding balance for all gift cards currently issued. Account ID: The account ID for the gift card. Date Created: The date and time the gift card was created. Customer: The customer attached to the gift card. Number: The unique gift card number.